As wonderful as our worship gatherings are, everyone sitting in long rows facing a pastor is not real community. Large gatherings of people for corporate worship and teaching are important, but it isn’t Christian community. Real community doesn’t happen in rows of chairs, but in circles. Real community happens when people sit eyeball-to-eyeball, knee-to-knee. When I can see you cry, we are in community. For decades, I assumed that the primary purpose of small groups was discipleship or study. I now question this assumption. I believe that the primary purpose of small groups is community. Yes, Bible study is important, but Bible study alone is hollow if there isn’t a genuine, authentic, life-giving community. When a church gets beyond about 50 people or so, it is too big for everybody to know everybody. But we should never be too big for everybody to know somebody. The reason small groups are so important is that everybody has a deep desire to be known. I don’t want people to just know my name. I want a few people to know my nickname. I want someone to pray for my aging parents by name when they are sick, and that can only happen in a small group. At Grace Church we include ministry and administrative teams among our essential small-group communities. But since the most important purpose of a small group is developing relationships and the task of the group comes second, this broader understanding of small groups makes sense. Do you think of your ushers as a ministry team? Or do they simply show up 30 minutes before the service and hand out bulletins? For years this was how we viewed our usher team, but more recently we have shifted and now work more intentionally at creating community teams. When one of our usher’s granddads is sick, someone needs to be in prayer and checking in on their friend. Creating a culture of community within a ministry team is more art than science. Ministry teams are task-focused by nature. Our GED team teaches GED. Our Community Garden Team plants and nurtures the plants. The Worship Team practices and leads worship. Getting these teams to live in community is ongoing, never-ending work. One of the tools we use to help us in the community-creating job is creating covenants. We have discovered that a covenant helps small groups and teams function better. Assumptions about expectations go away when a team does the work to create a covenant together. Buy-in is high when everyone is invited to participate. Conflict resolution is figured out before the fight! Exit strategies are talked about before they are needed. Everyone on the team wins with a covenant. It is critical to have everyone who is on the team participate in coming up with a covenant that makes sense to the group. These simple questions can get people talking about the behaviors that build trust. Who is the greatest leader you have ever been around? Why? What is the greatest team you’ve ever been on and what made it great? What would make this group a great team? The covenant needs to be agreed upon by everyone on the team and any changes made together. Read the covenant at the start of each meeting and ask: “How are we doing at keeping our covenant? Is there anything we need to say to one another to build trust as a team?” Remember, the covenant is first and foremost a “mirror” for each team member to examine his or her own heart and commitment. 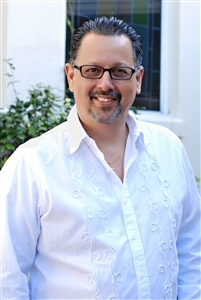 Jorge Acevedo is Lead Pastor at Grace Church, a multi-site, United Methodist congregation in Cape Coral, Florida, where church attendance has grown from 400 to over 2,600 in the past 15 years. This article is from his recently published book, Vital: Churches Changing Communities and the World (Abingdon Press, 2013, used by permission), available at Cokesbury.com and Amazon.com . It is reposted with permission from the Lewis Center for Church Leadership.